Accident Injury Attorney Mark Doughty is in San Francisco, California at the 51st Annual CAOC Convention learning from some of the best attorneys in the world. Every year, continuing education "promotes new and better ways to represent our clients injured by the negligence of wrongdoers", said Doughty. 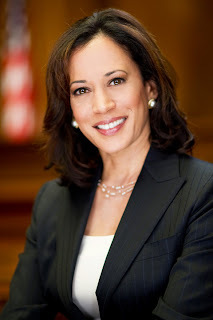 Among the speakers at this year's conference is the Attorney General of California, Kamala D. Harris (Official Twitter @CalAGHarris). • Those injured or killed by defective products or drugs. • People who suffer discrimination because of age, gender, disability or race. • Individuals injured or killed because of another's negligent acts. • Citizens whose civil rights have been violated. • Workers who have been fired unjustly or injured on the job. • Investors and others wronged by financial institutions. • Those whose lives are undercut when insurance companies act in bad faith. • Patients who have negligently been harmed instead of healed by the health care industry. CAOC attorneys and their clients face opponents with far more power and access to resources: Big polluters, insurance companies, automobile manufacturers and banks. CAOC members take only those cases they view as worthy, invest their own resources in pushing those cases to court and are paid under the contingency fee system only if their clients achieve a successful result." This year, special guest speaker and California Attorney General Kamala D. Harris (Follow her Tweets @KamalaHarris) gave the Keynote speech at the Palace Hotel for Friday's Luncheon. Introduced by Brian S. Kabateck of Kabateck Brown Kellner, LLP and CAOC President Niall P. McCarthy of Cotchett, Pitre & McCarthy, LLP; Kamala Harris spoke about "The Role Of The Attorney General In Protecting Consumers".